Throughout the summer of 1950, residents of Florence, South Carolina, couldn’t help but notice a certain new Oldsmobile constantly driving around town, painted up to advertise both a new dealership on North Irby Street and the inaugural 500-mile stock-car race in nearby Darlington. That closely intertwined relationship between NASCAR and Griffin Motors would last for decades and provide reason enough for the dealership’s recent addition to the National Register of Historic Places. 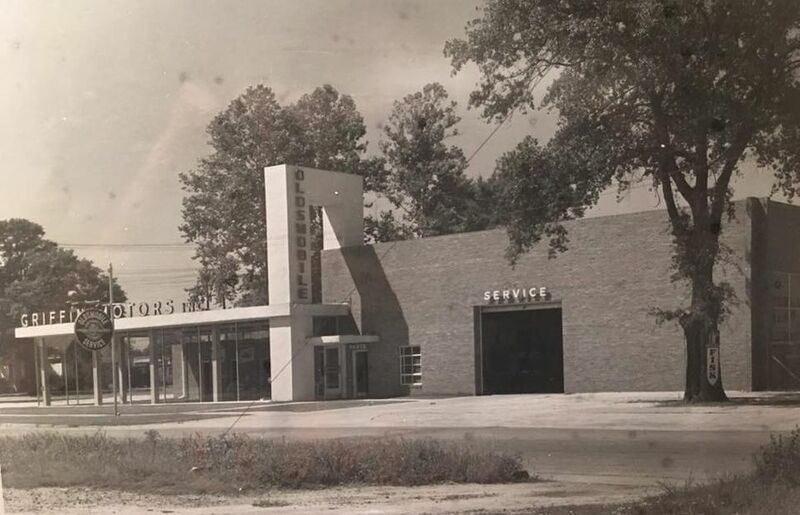 While the Griffin family bought into an Oldsmobile franchise on Florence’s Front Street sometime in the late 1930s or early 1940s, Robert “Bob” Griffin decided about a decade later to build a larger 12,000-square-foot showroom on the corner of North Irby and Darlington Streets. Photo courtesy Griffin Motors Racing. Bob Griffin knew the value of publicity. Not only did he choose a high-visibility section of Florence in which to place his dealership, he also chose a modern design with plenty of glass to showcase the cars inside and a tall pylon lettered with the Oldsmobile name. He also shared an interest in stock-car racing with his sons, Bobby and Tommy, and saw how it could benefit the dealership. That interest started with the establishment of the Southern 500 in Darlington. The Griffins not only advertised the race with the aforementioned 88, they also sold tickets to the race from their dealership, and were the first to register a car for the race — then later grew into a full-fledged racing team, one that employed the likes of Buck Baker, Fireball Roberts, and Lee Petty. According to Marshall Griffin, one of the few remaining Modified Sportsman cars from NASCAR’s first seasons — a 1949 Oldsmobile 88 known as the “roaring relic” — came from Griffin Motors, specifically built for that division by Bobby Griffin. That car now resides in the museum at Darlington. 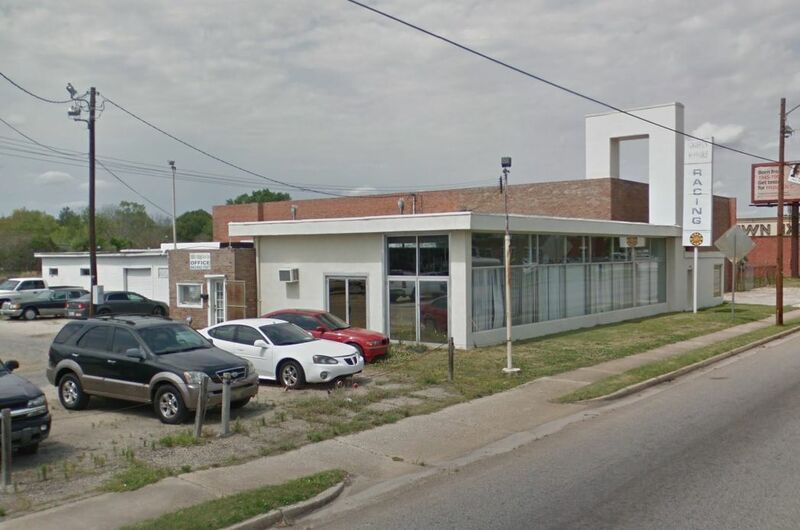 At least, it remained a dealership-slash-museum until this past August, when Marshall Griffin sold the building to Adams Outdoor Advertising, which has promised Marshall Griffin that it will restore and preserve the building. “It needed a lotta maintenance and TLC,” he said. “Most of the time, people aren’t interested in restoring an old building because it’s a lotta extra work, but this company even plans to replicate the Oldsmobile font for the pylon for their own company name. The National Parks Service added the building to the National Register of Historic Places on October 5. While registry status does not automatically prevent a building’s owner from demolishing or substantially altering the building, it does pave the way for historic tax credits toward restoring the building.